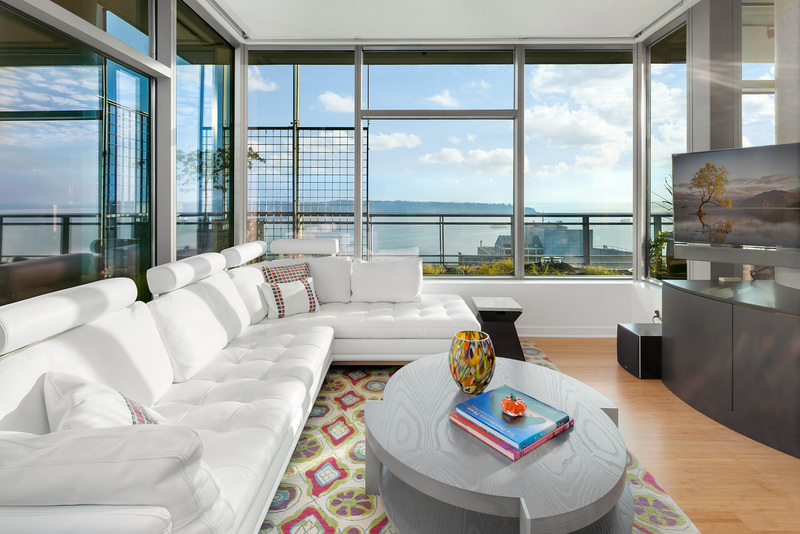 Tranquil, airy & refined. 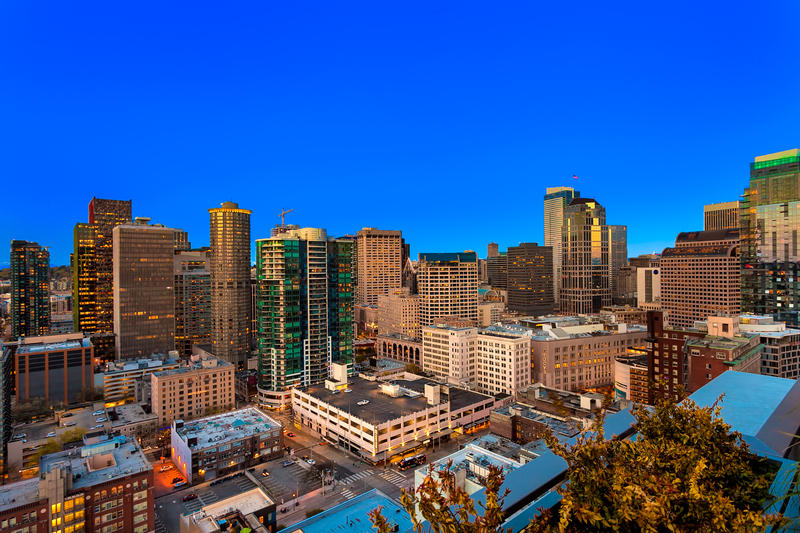 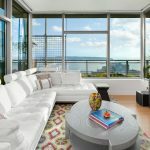 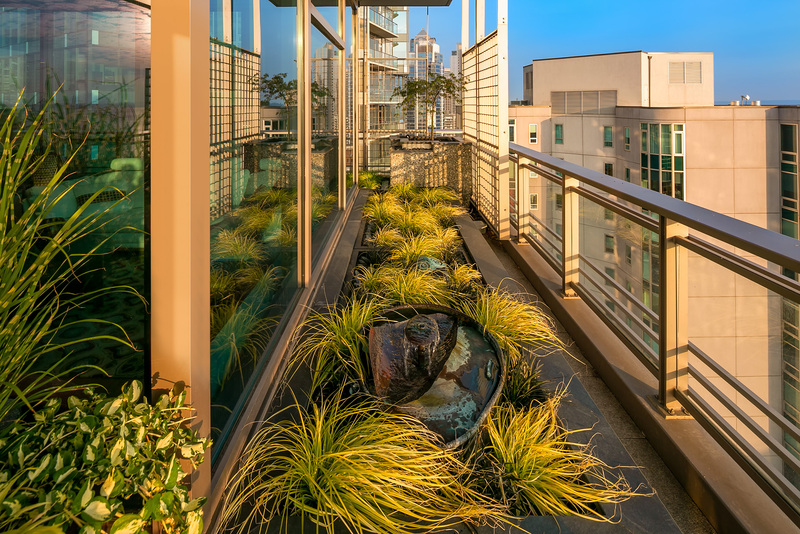 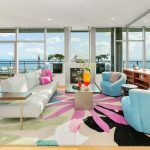 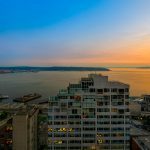 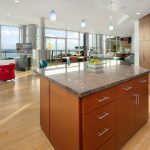 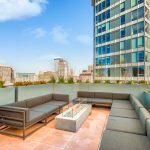 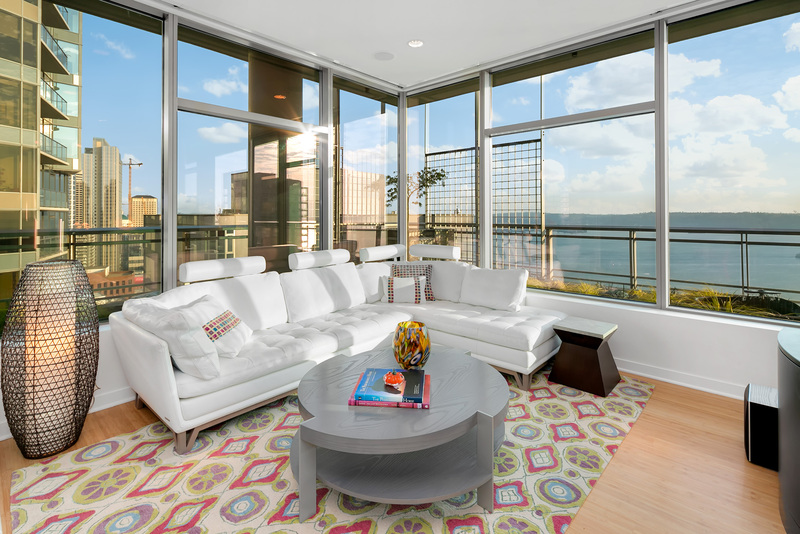 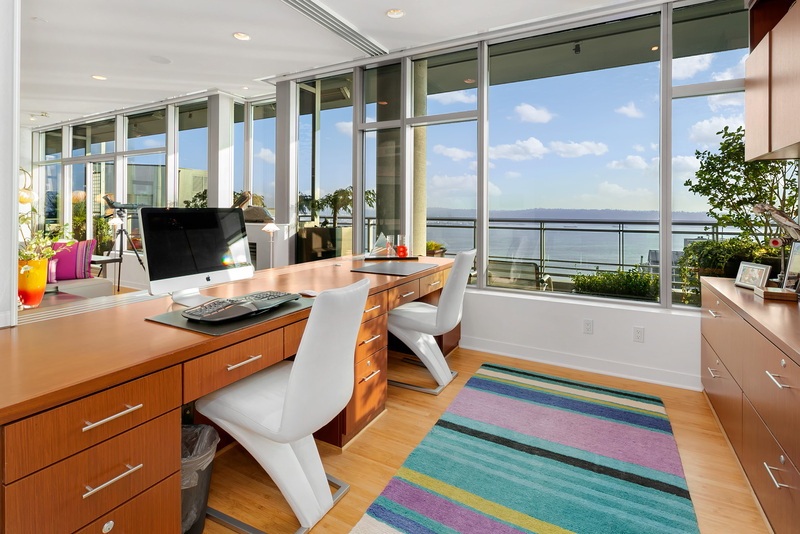 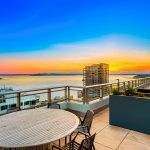 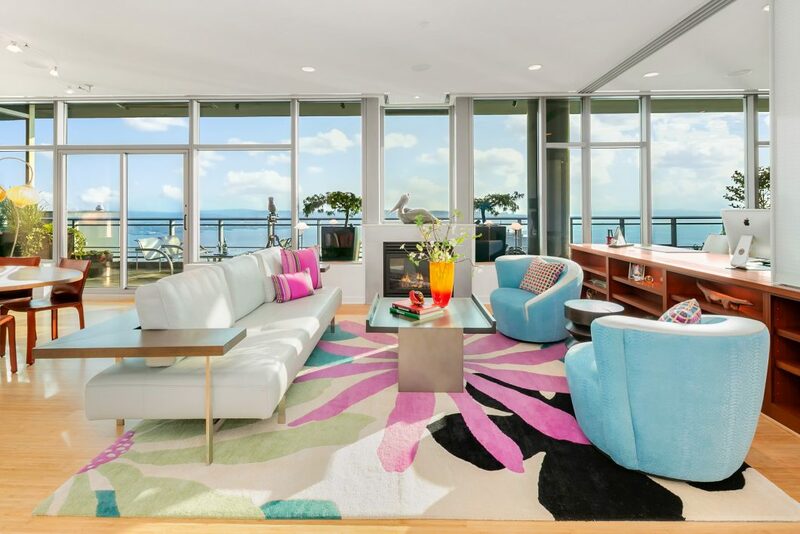 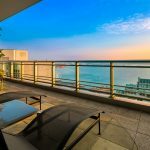 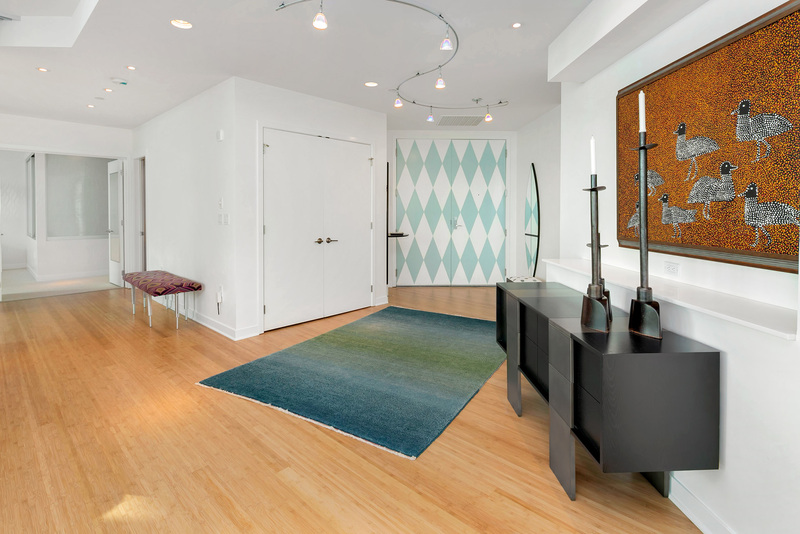 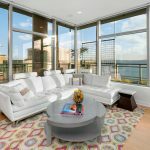 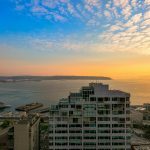 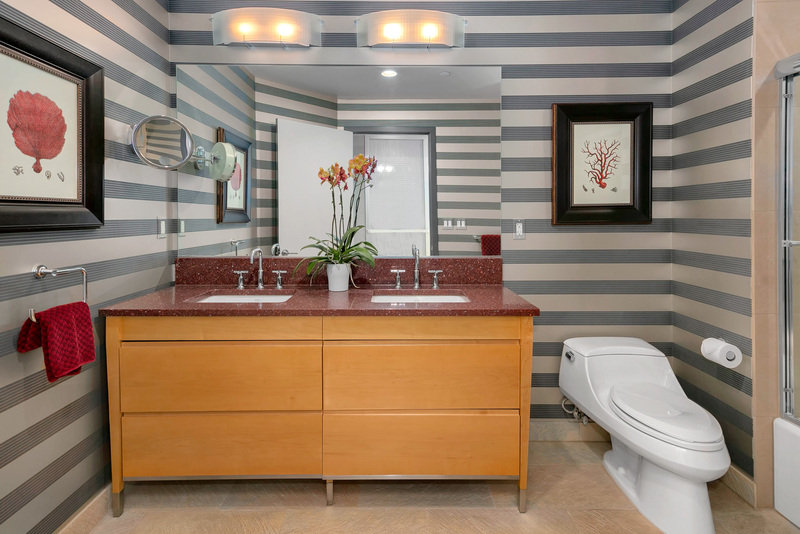 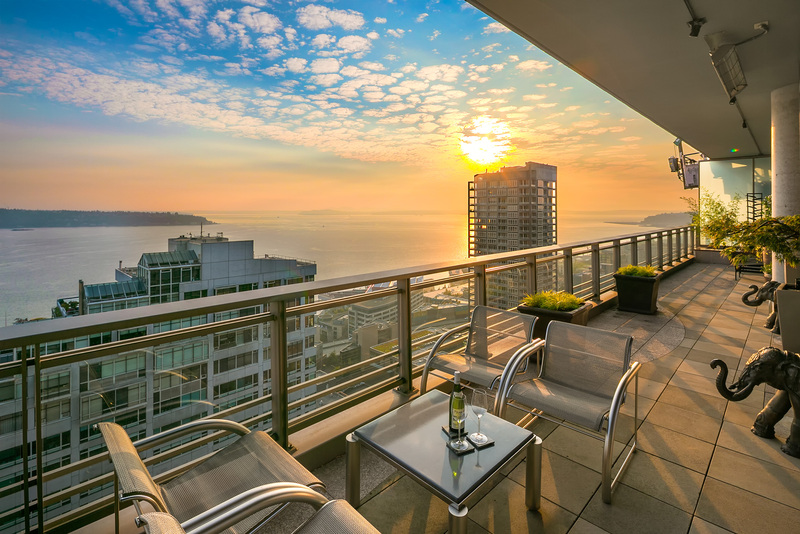 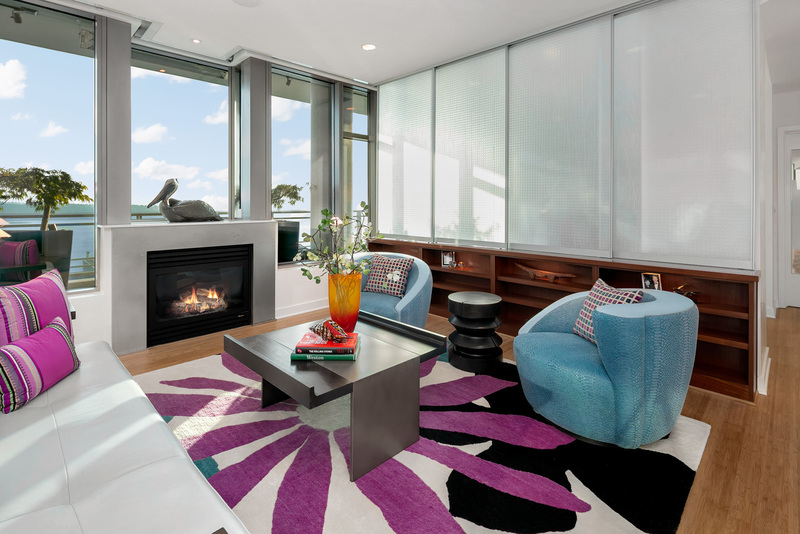 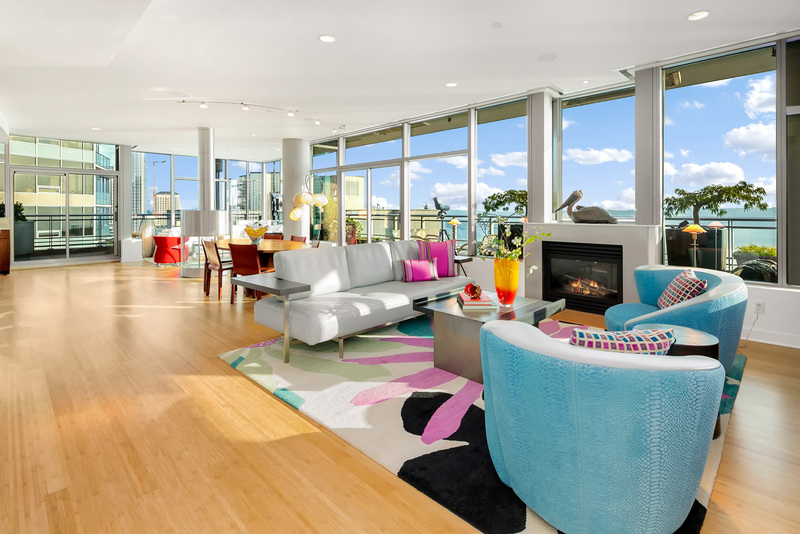 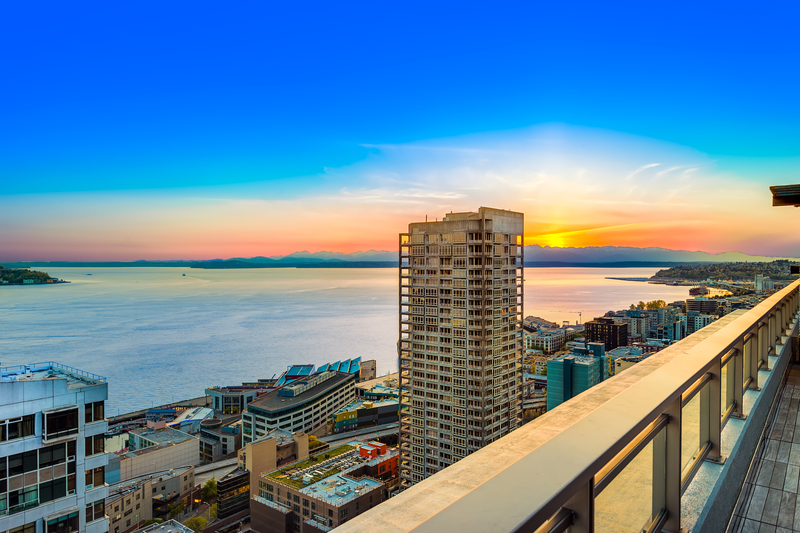 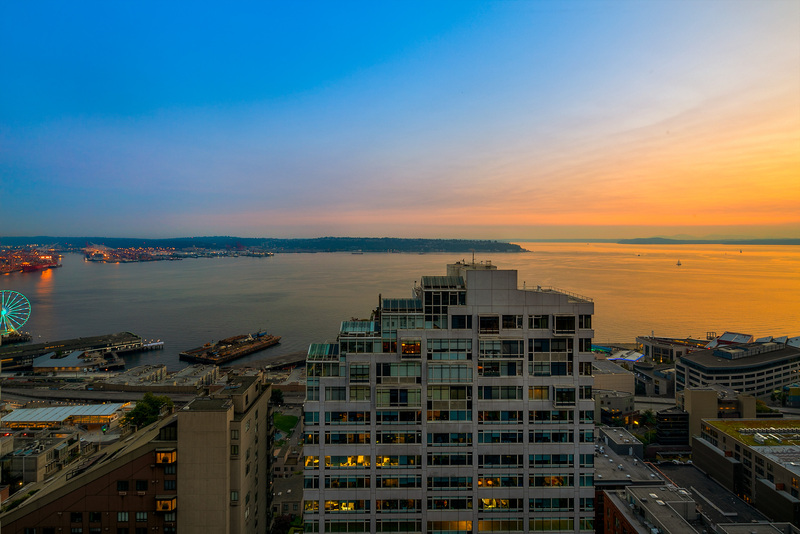 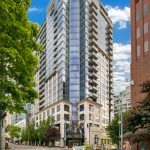 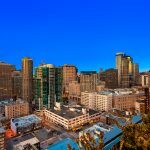 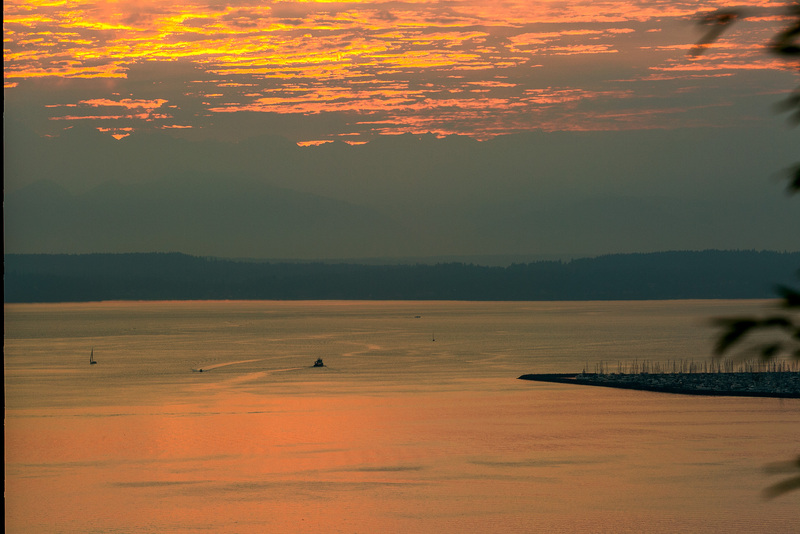 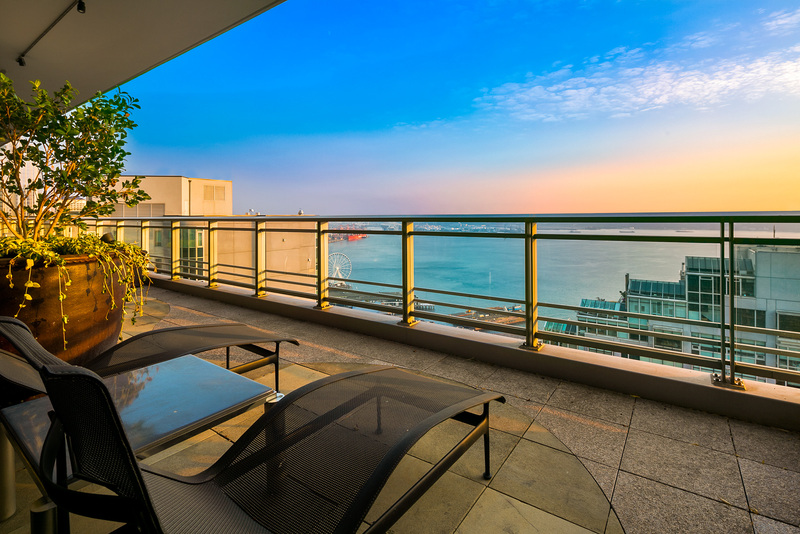 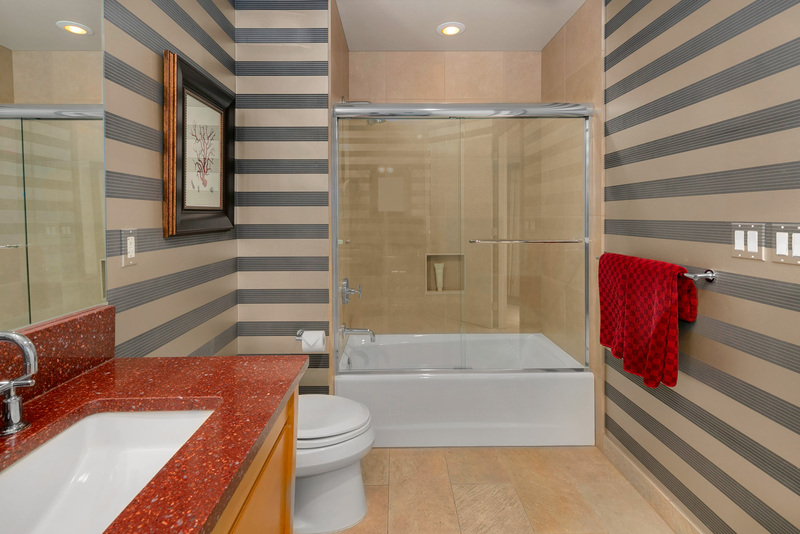 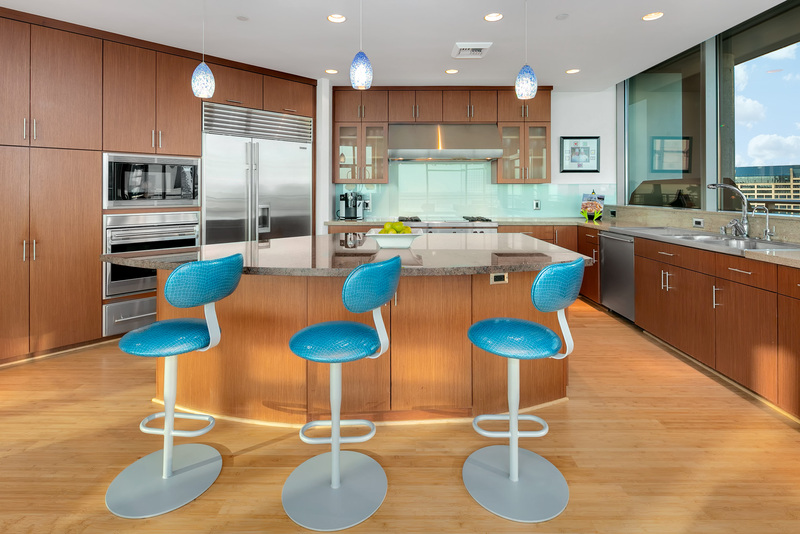 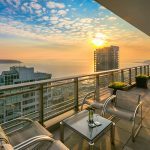 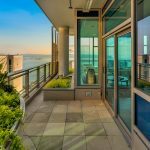 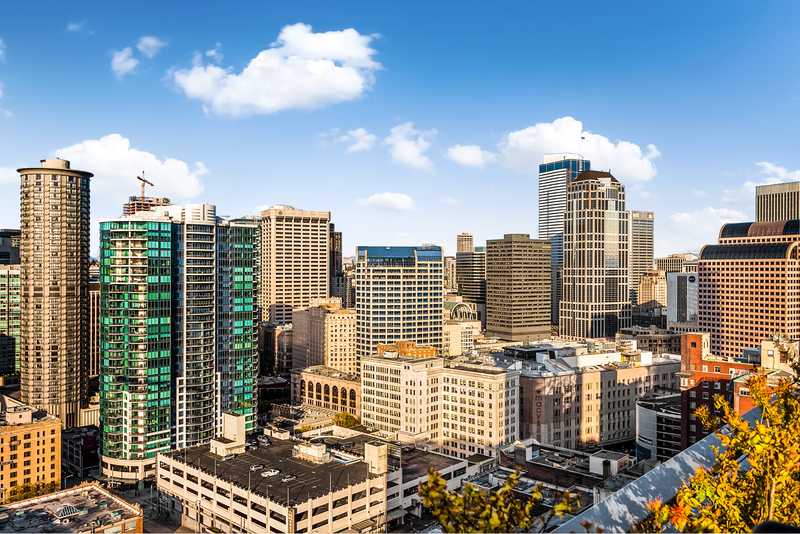 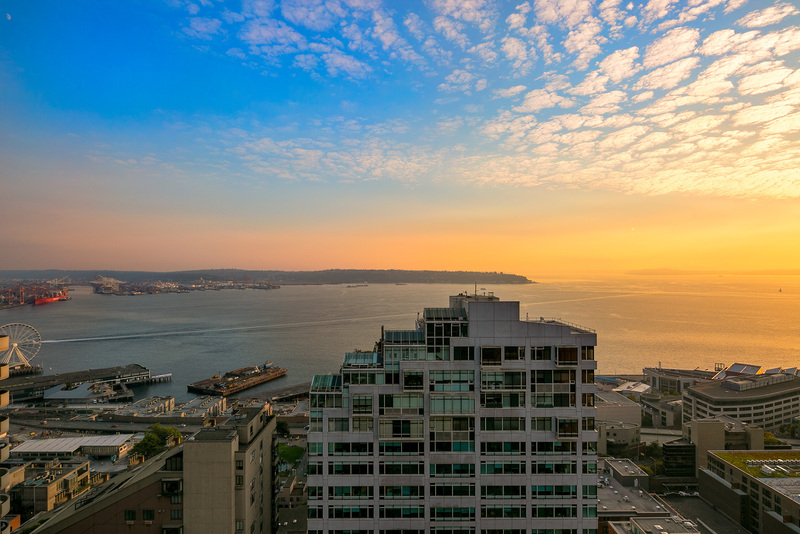 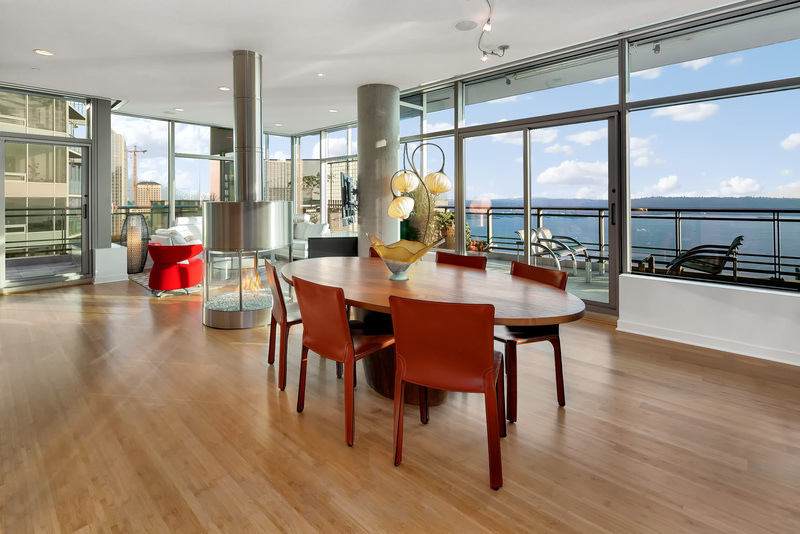 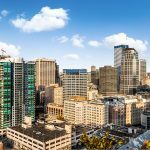 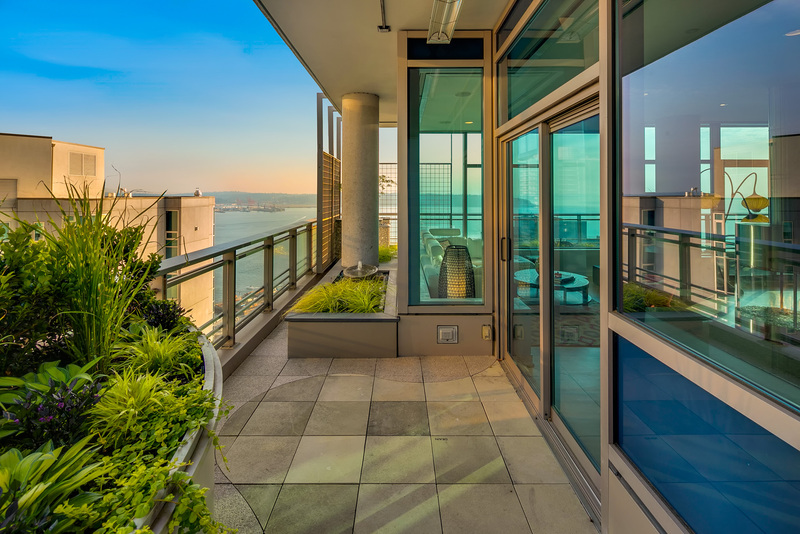 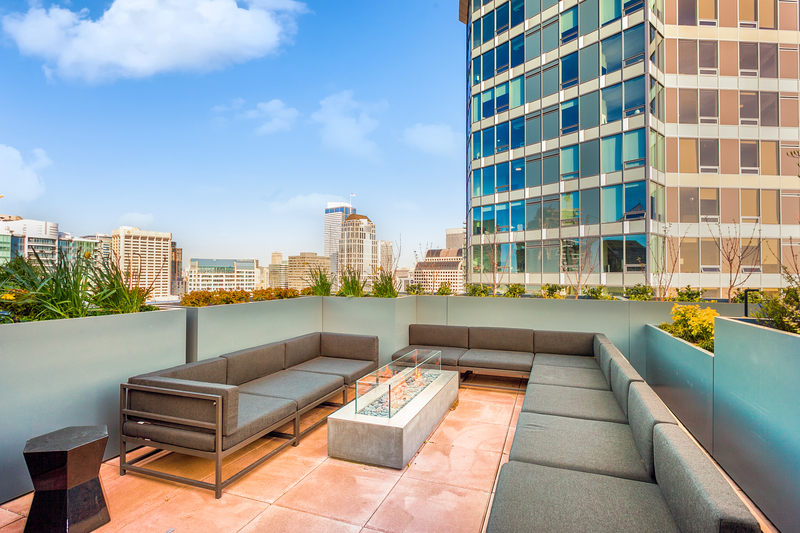 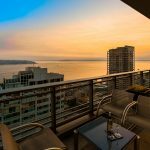 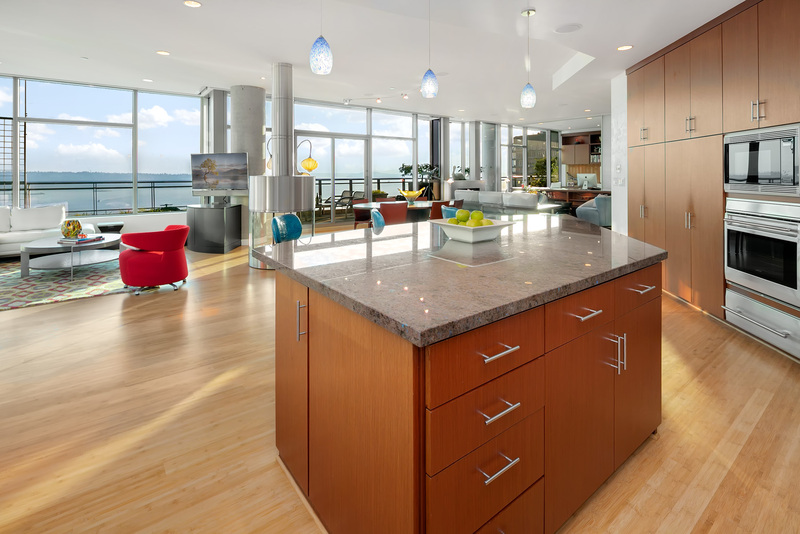 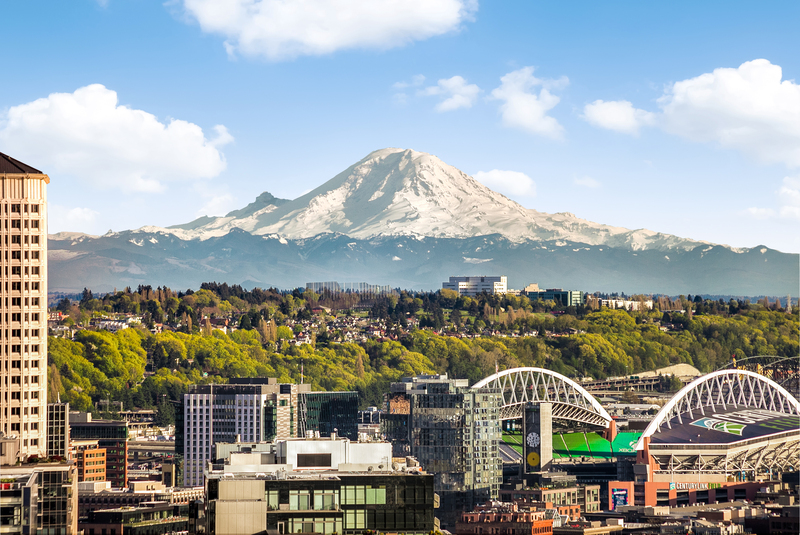 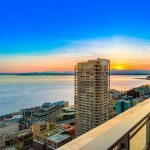 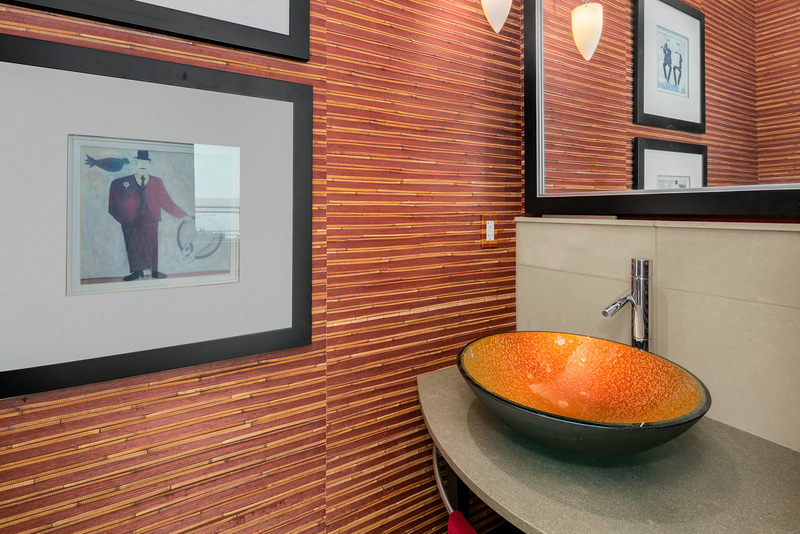 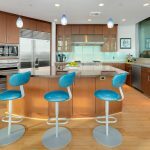 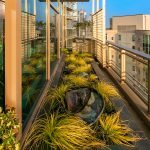 This custom 2bd+den PENTHOUSE is perched atop one of Seattle’s most coveted addresses! 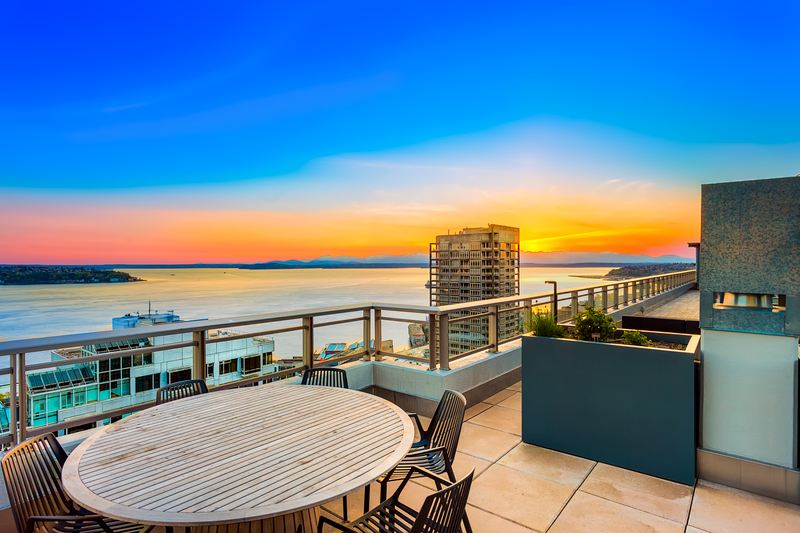 Entertaining is second nature with over 2400 square feet of open and graciously designed living and dining spaces wrapped by a lush terrace featuring sculptured fountains, greenery, and heated sitting areas -an amazing escape for all seasons. 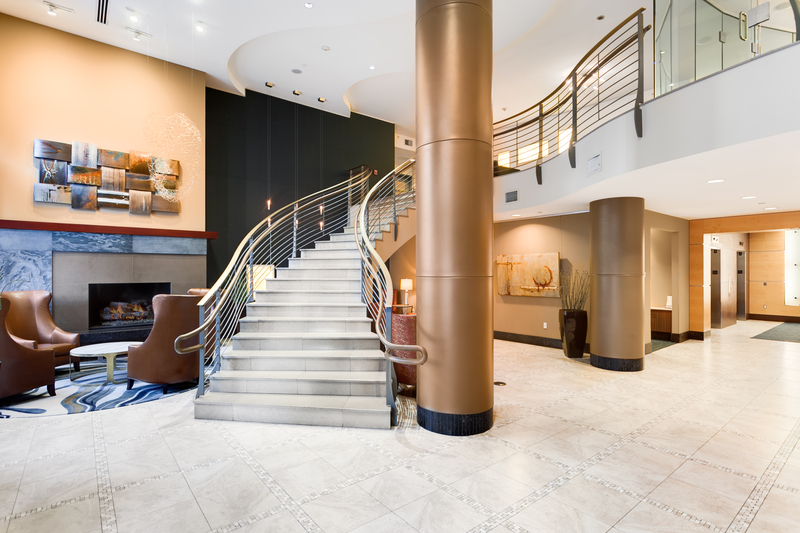 Light and bright, the grand double door foyer opens to the formal lounge with gas fireplace; an adjacent flexible-use home office features custom desk, book and filing built-ins enclosed with privacy screens; tucked away, a dramatic guest half bath; and a palatial master suite offers a spa-inspired five-piece bathroom with a custom built vanity, view soaking tub and terrace access. 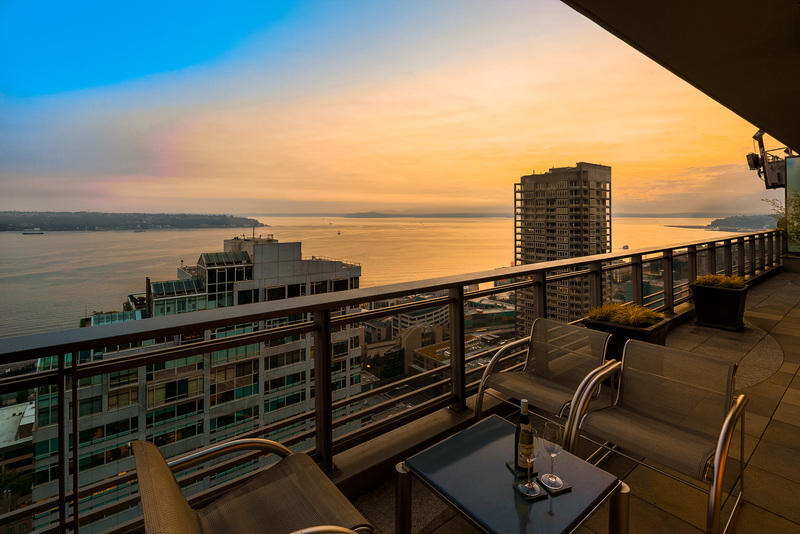 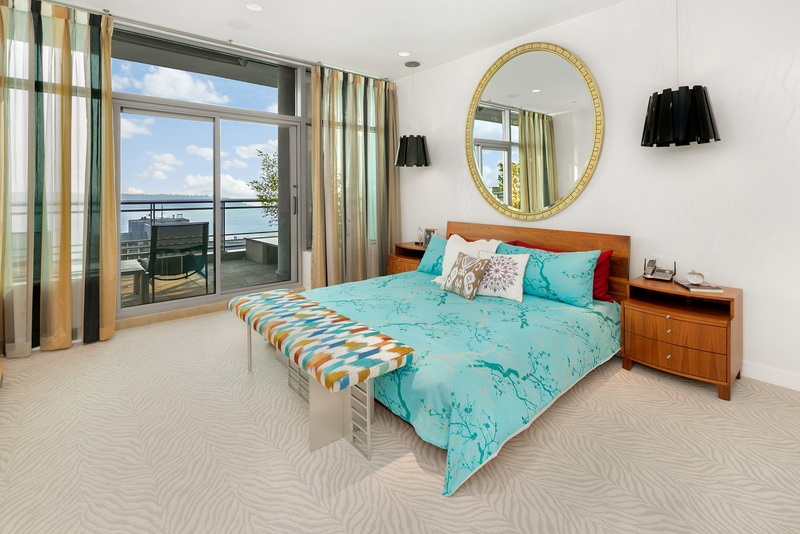 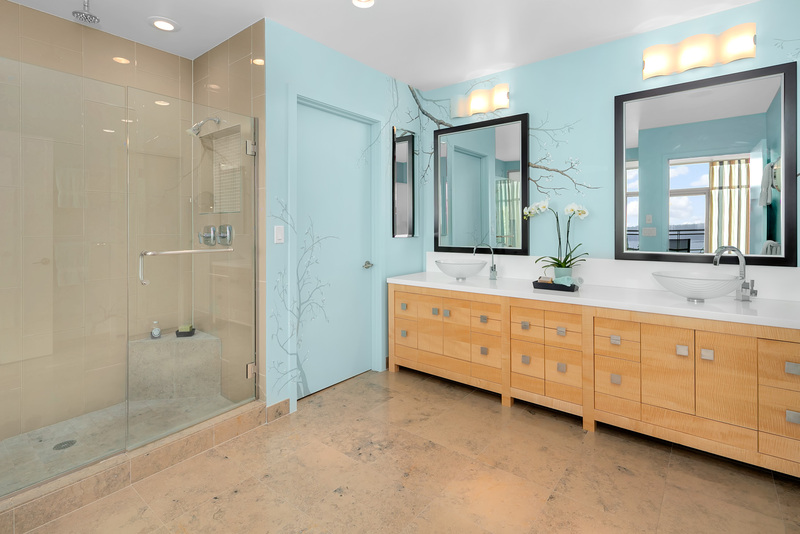 The guest wing features a full bathroom, a spacious bedroom and patio – out of sight and private; and just around the corner the endless kitchen, living and dining areas can be found with the most captivating views of Elliott Bay, the Olympics, city and islands – as far as the eye can see! 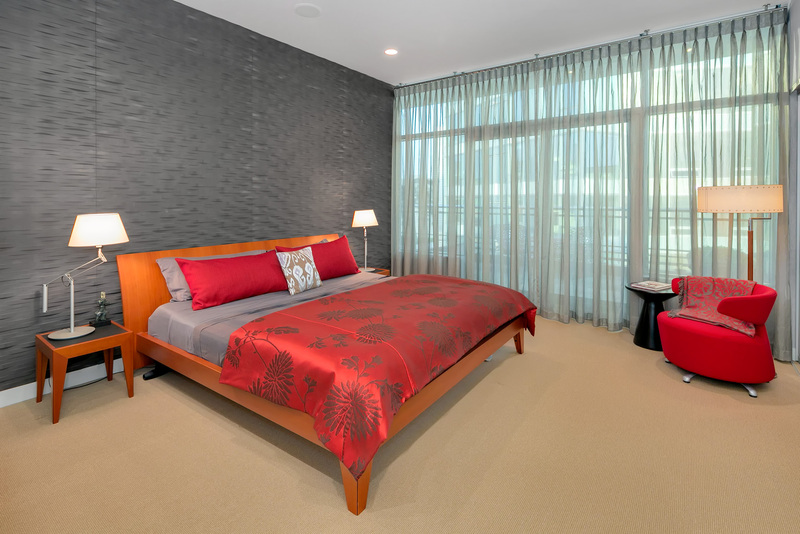 Breathtaking with a simple, clean and modern design featuring high-end finishes and thoughtful touches throughout – Wolf, SubZero, slab granite countertops, hand selected light fixtures, new bamboo floors, designer window treatments, electronic shades, closet built-ins, art nooks/accent lighting, built-in speakers, and a contemporary glass and steal gas fireplace. 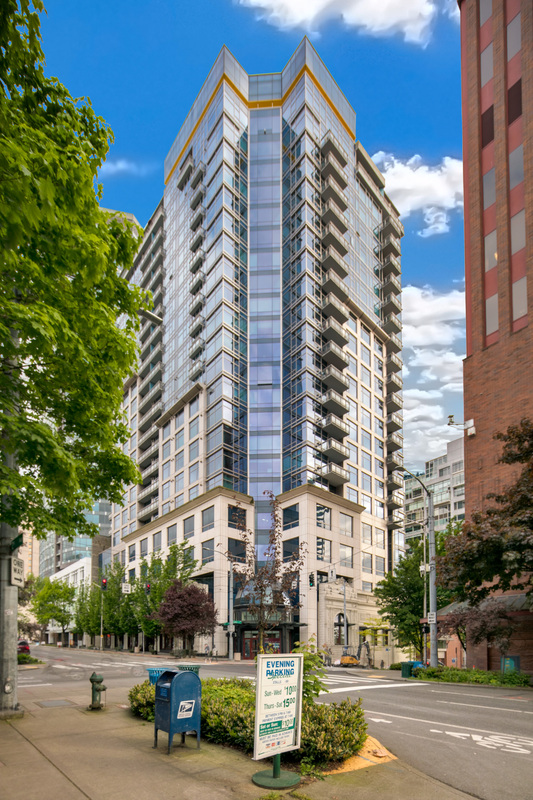 3 assigned parking spaces and an additional storage unit included. 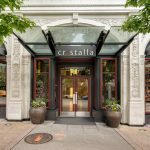 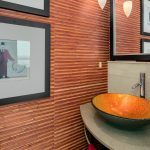 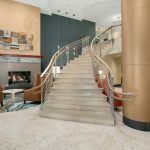 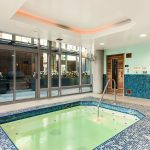 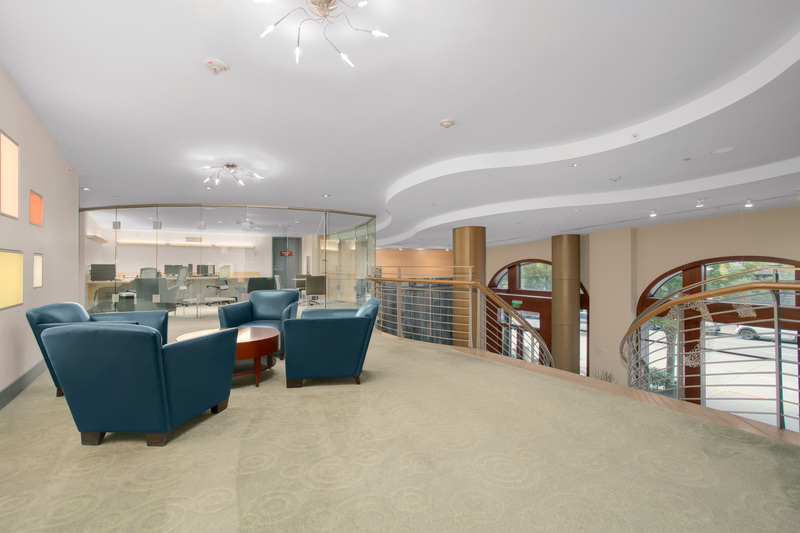 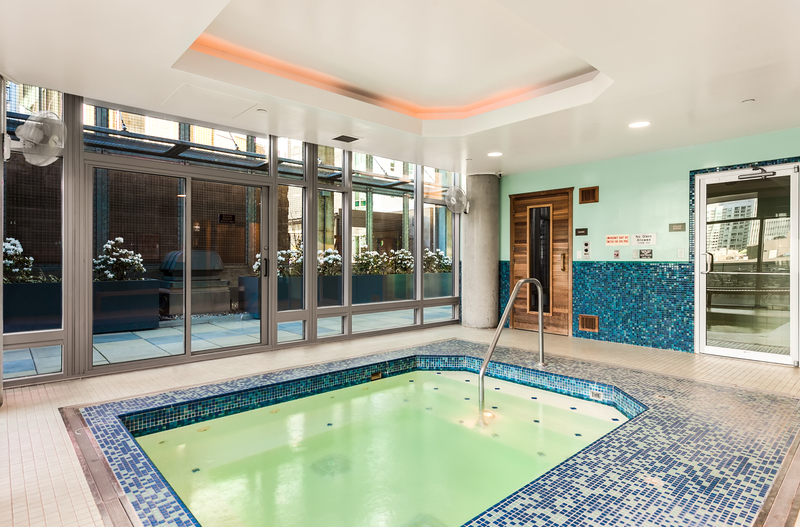 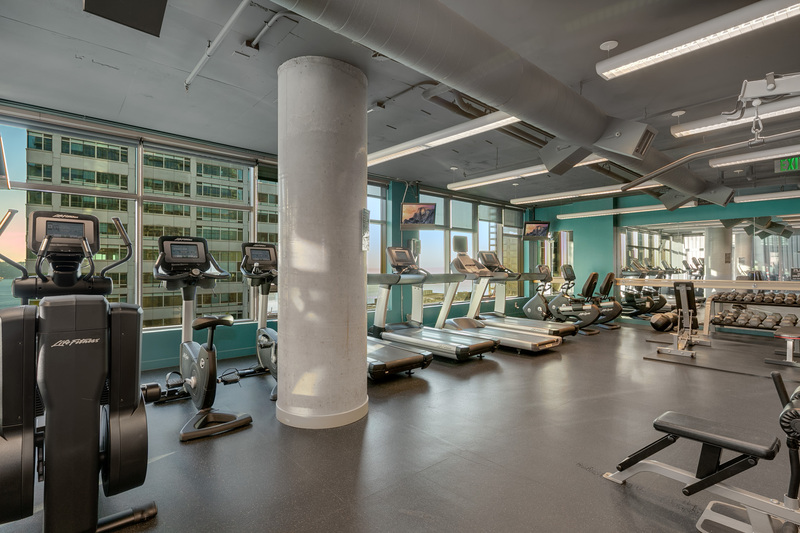 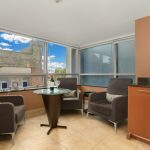 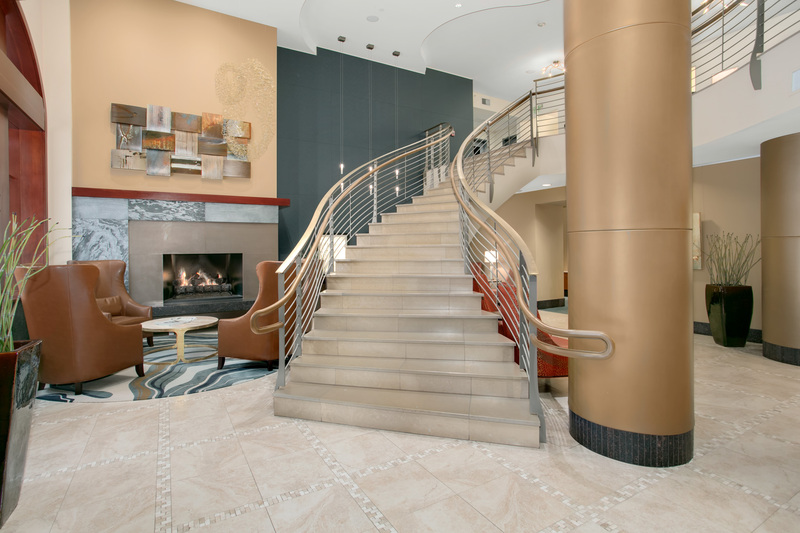 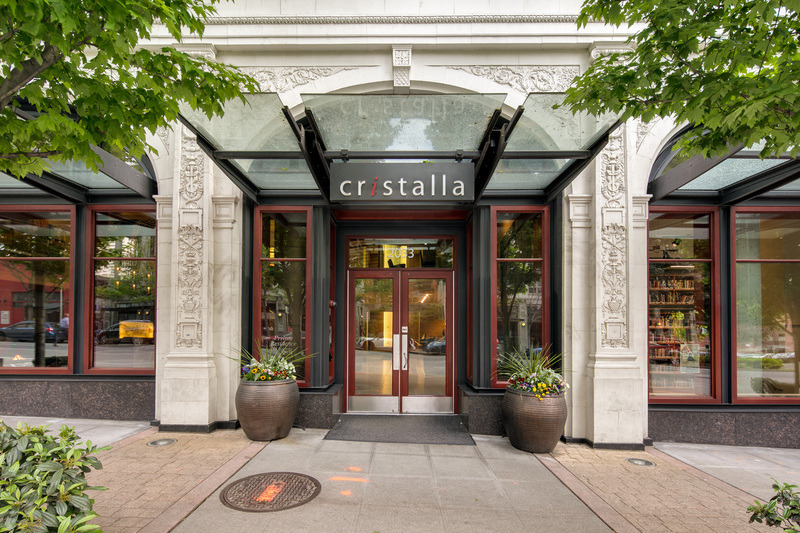 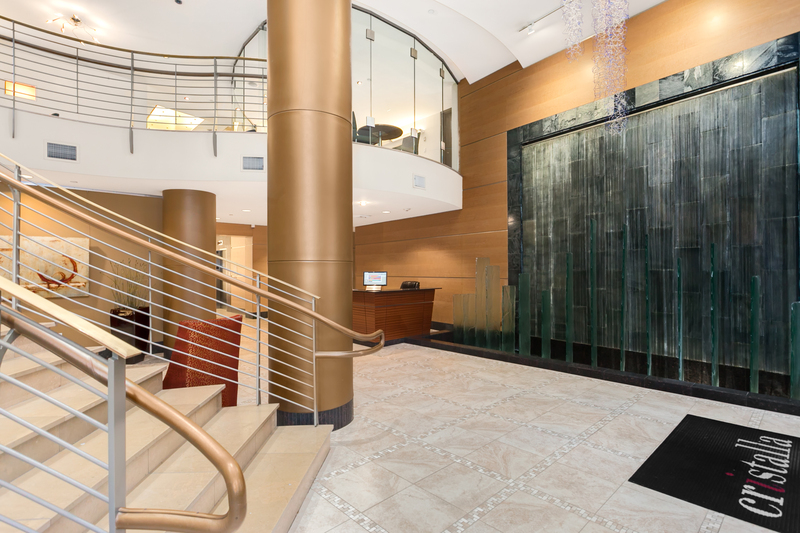 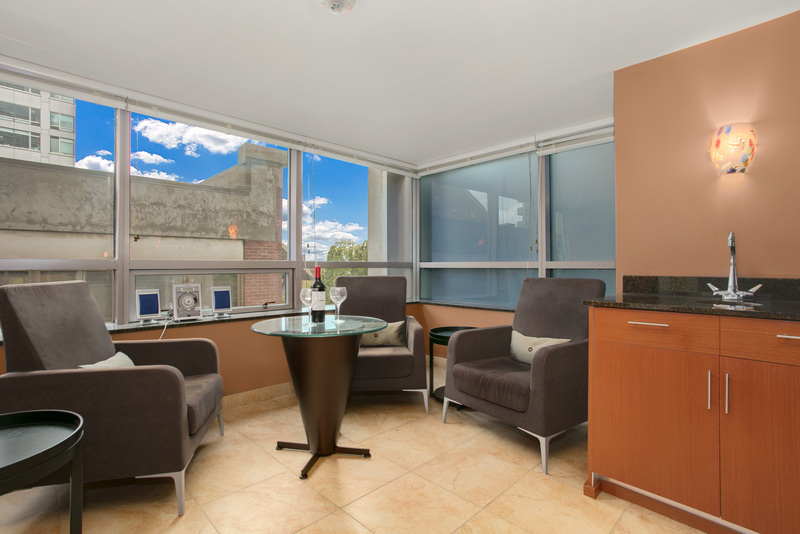 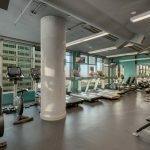 Cristalla amenities include a 24 hour concierge, on-site manager, fully equipped fitness facility, yoga room, clubroom, theater, spa- steam room and sauna, business center, guest suite, car wash bay and a newly renovated rooftop deck – stunning views! 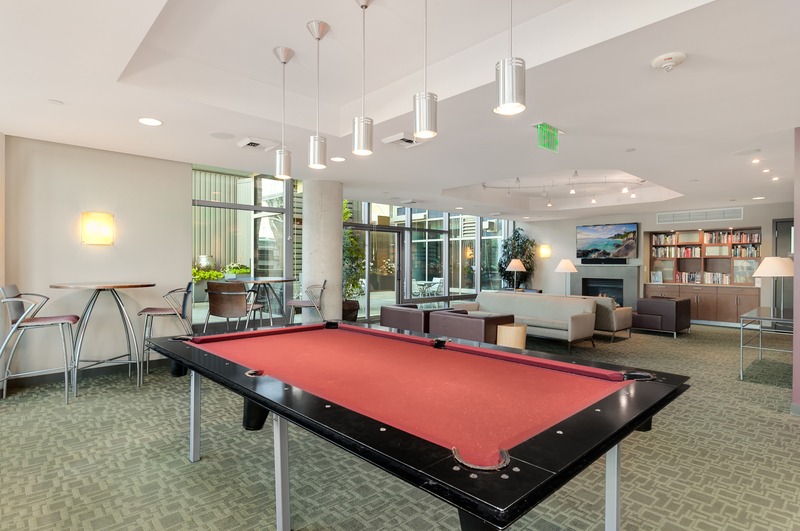 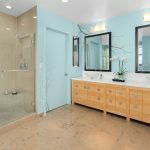 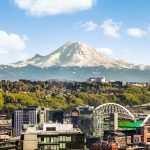 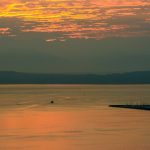 $3894 HOA dues include water, sewer, garbage, gas, hot water, CondoInternet, common maintenance and earthquake insurance.